In 2011, a massive tornado carved an enormous swath of destruction through the city of Joplin, Missouri. Many organizations joined forces to address the immediate aftermath, but others focused on the long-term recovery to follow. That long-term concern gave birth to the Joplin Area Fuller Center for Housing. While most groups’ work has wound down, the Joplin Area Fuller Center remains busy and committed to helping the Joplin community. 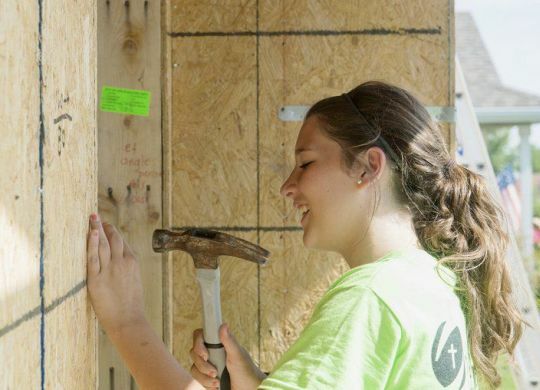 The Fuller Center remains a destination for volunteers from out of town who are looking to put their faith into action for the people of Joplin. The Joplin Globe caught up with one of those groups composed of 23 people from Corinth Reformed Church in Grand Rapids, Mich. Their weekend piece features the work of The Fuller Center and others who remain active in Joplin.